Whether you need a reminder for yourself when it's bedtime or you want to allow your children 30 minutes of TV before starting their homework, a sleep timer can make your day a little easier. 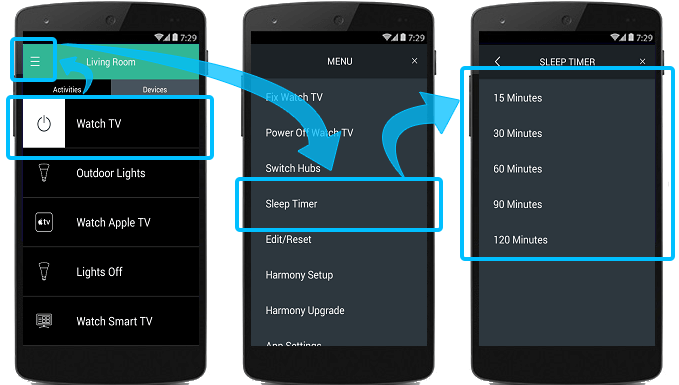 When using a Harmony hub‑based or touchscreen remote, you're able to set up a sleep timer to end your Activities. This can be done using your Harmony remote or the Harmony mobile app. 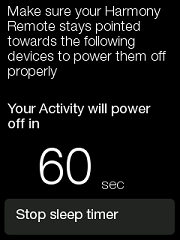 The sleep timer will turn off any running Activities once the time is up. 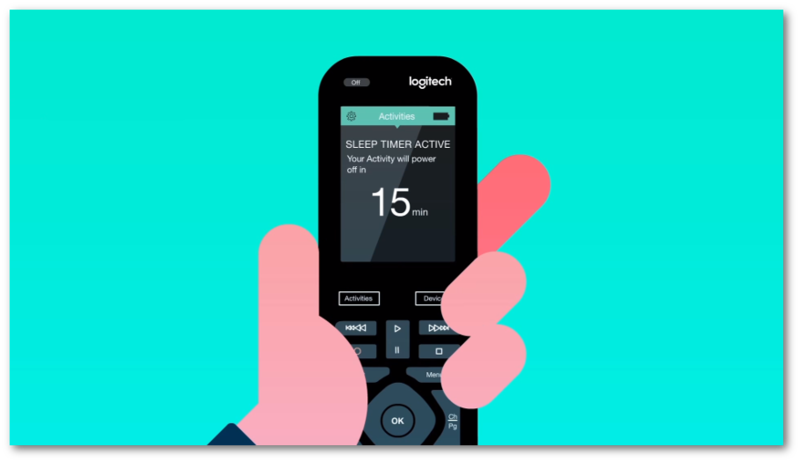 Start your Activity, select MENU > Sleep Timer, and choose when you want Harmony to power everything off. You'll be notified one minute prior, allowing you to cancel. You may need to have your remote pointed at your device(s) so that any IR signals sent from your remote are recieved. Music: Sonos, stereo or connected media player. Lights: Either a Wi‑Fi enabled light bulb, or, a connected light switch. Select your bedroom light switchs or light bulbs and ensure the power button is enabled. Select NEXT >.